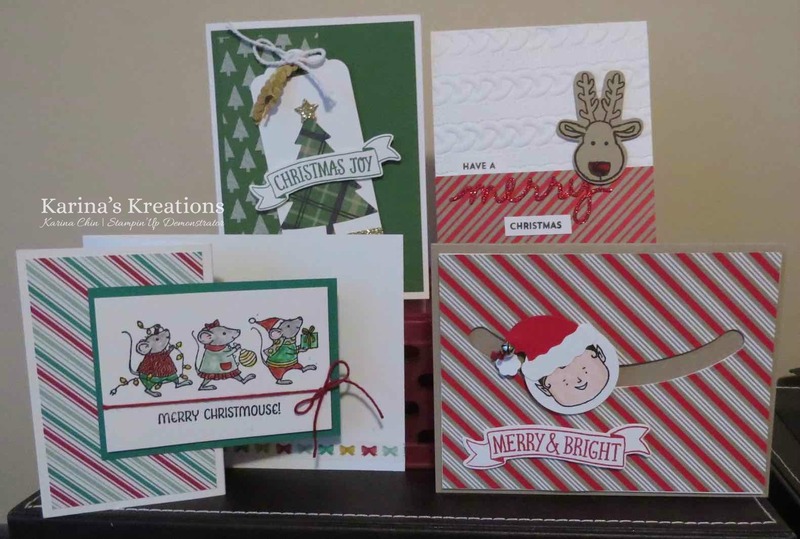 Karina's Kreations: Teen Card Class Nov 19! Teen Card Class Nov 19! I'm going to be running a teen card class at square 1 coffee on Saturday Nov 19 6:30-8:30. If you have anyone interested please email me at kchin2@telus.net. There are only 5 spots left. These are the cards we're making. We're doing one spinner card, one z-fold card with coloring, and two big shot cards. The greetings can easily be changed out to a more neutral Happy Holidays greetings along with the images. If you love these cards. I'm happy to run a adult class or a mom and kids too. Just pick a date and invite some friends and I'll run the class for you.